Home / HOT ARISE TOPIC / STEPHEN GLOVER: Why did the all-powerful BBC refuse to tell the truth about Mr Corbyn? STEPHEN GLOVER: Why did the all-powerful BBC refuse to tell the truth about Mr Corbyn? Theresa May surely has only herself to blame for the Tories’ appalling performance on Thursday. Even before the polls closed it was impossible to find a Conservative MP who thought she had run a good campaign. But there is another group of people who certainly made a contribution to the outcome and should be hanging their heads in shame this morning. I am speaking of the BBC. Our national broadcaster accounts for about 50 per cent of news output in this country via its multiple television, radio and web outlets. It is immeasurably more influential than any other news channel or newspaper. That is why it is so important it fulfils its sacred duty to invigilate politicians without fear or favour. In the case of Jeremy Corbyn, it failed miserably over the past few weeks. This was rather surprising because during the Labour leadership contests in 2015 and 2016, the BBC was almost eager to expose his obvious shortcomings and unsavoury political liaisons. Having been admirably forensic then, Auntie was laughably indulgent over the past few weeks. Let me put my complaint another way. How many of the nearly 13 million people who voted Labour are aware that Jeremy Corbyn has a track record as an associate of Middle Eastern terrorists and IRA killers? How many of them know that in 1984 this lifelong friend of Irish Republicans asked two former IRA convicts to speak in the House of Commons, a fortnight after the IRA had tried to blow up Margaret Thatcher and the Cabinet, killing five people in the process? And what proportion realise that as recently as 2009 Corbyn described the terrorists of both Hezbollah and Hamas as his ‘friends’ as he hosted an event on their behalf? How many BBC viewers know Jeremy Corbyn has a track record as an associate of Middle Eastern terrorists and IRA killers? Or that his closest ally, the self-proclaimed Marxist Shadow Chancellor John McDonnell, has called for MI5 and armed police to be abolished, while saying that the IRA murderers of men, women, children, British servicemen and police officers should be ‘honoured’. My own straw poll of decent acquaintances who voted for Corbyn suggests that very few of them have the faintest notion of the disreputable causes he has espoused. If they have any idea at all, they are liable to blame Tory scaremongering. Ours is not a country of extremists. I find it hard to believe that so many millions of law-abiding people would have voted Labour if they had been properly apprised of just how far-out Corbyn and his coterie really are. 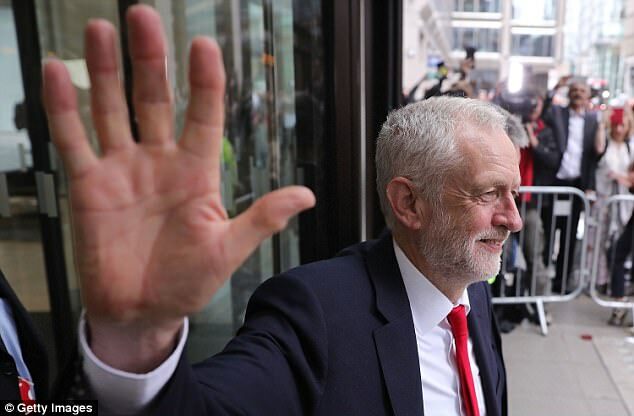 That there is such widespread ignorance of what the Labour leader has got up to over the years — the terrorists he has succoured and the bloody hands he has shaken — must in large measure be attributed to the journalistic failures of the all-powerful BBC. Look at what happened after last Saturday’s terrorist attack on London Bridge. 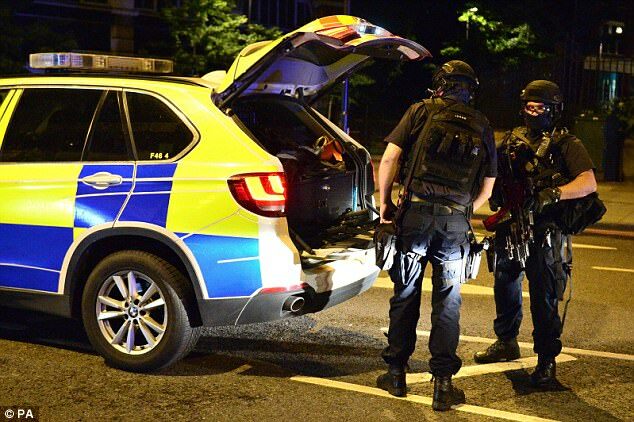 Corbyn immediately blamed the outrage on police cuts, even though armed police took just eight minutes to arrive on the scene and despatch the three murderers in the most effective way. As Sir Richard Dearlove, a former head of MI6, noted in a piece in Thursday’s Daily Telegraph that Corbyn’s response was ‘nakedly political’. Sir Richard — who is no Tory stooge — wrote that ‘if you ask professionals in the police, they would recognise that creating 10,000 jobs for community policing won’t have the slightest effect on the problem of Islamic terrorism’. He also suggested that Jeremy Corbyn’s ‘links with those quite ready to use terror’ would mean he wouldn’t be cleared to join any of the country’s security services. In fact, in the past ‘MI5 would actively have investigated him’. If only Sir Richard’s chilling article had appeared a few days earlier it might have opened the eyes of some of the idealistic young people who voted for Corbyn. But I don’t suppose the BBC would have given it wider circulation, so bizarrely anxious has it been to protect the Labour leader from examination. In the days following the terrorist outrage a week ago, almost every BBC bulletin took seriously Corbyn’s absurd allegation that Tory cuts were to blame. His own utter unsuitability for office — as a virtual accomplice of terrorists — was scarcely mentioned. Nor, while the shamelessly devious Labour leader was extolling the police and promising them more money, did any BBC interviewer ask him or any of his colleagues why his local Labour Party office in the Seventies put a poster in its window depicting policemen as pigs wearing helmets. No questions were forthcoming about why this fervent admirer of bobbies should have been a founder of the Socialist Campaign for a Labour Victory, whose manifesto before the 1983 general election declared that ‘the capitalist police are an enemy of the working class’. 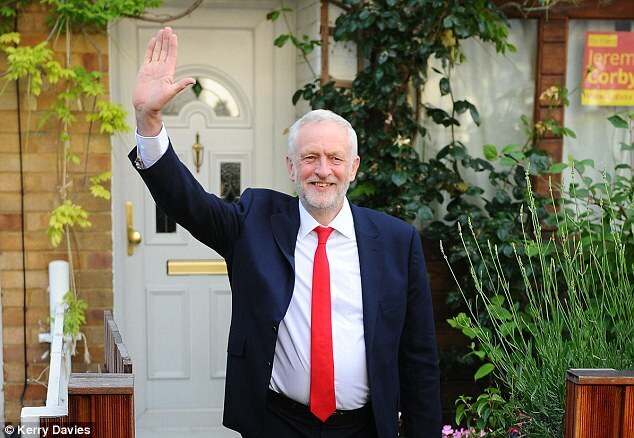 I’m afraid the often somnolent Tories have been somewhat lumbering in making the point that under the skin of this seemingly cuddly and apparently inoffensive grandfatherly figure lurks a man who has devoted his life to undemocratic causes that would shock most British people — if only they knew. 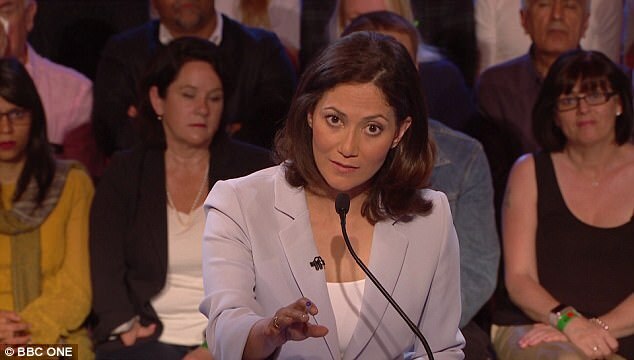 But when Boris Johnson tried to argue along these lines on the Today programme on Tuesday morning — criticising Jeremy Corbyn for his consistent refusal to back counter-terrorist measures — the interviewer, Mishal Husain, repeatedly interrupted him. She insisted she would ‘set the record straight’ and repeated Corbyn’s pious remarks following the London Bridge attack as though she were his official spokesman. This, for me, was one of the lowest points of a dispiriting campaign. A leading politician trying to show the dangers of voting Labour is censored by a politically correct BBC journalist who doesn’t want people to hear. Had they been allowed to know the full truth about Jeremy Corbyn, many idealistic young people might have had second thoughts. They might have realised that the young murdered in the London Bridge attack were not victims of police cuts, and that Corbyn is one of the last politicians on earth likely to be tough with the terrorists who killed them. 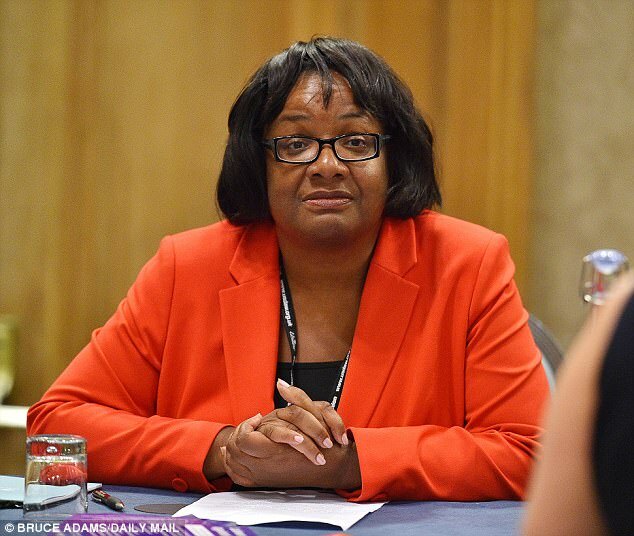 Why should the BBC have afforded Corbyn and the sinister McDonnell (not to mention the idiotic Diane Abbott) such latitude? Most of its journalists surely can’t sympathise with his hard-Left policies. No, I believe they were given an easy time because many BBC employees can’t stomach Theresa May’s robust approach to Brexit. They thought that, if elected, Labour would negotiate a much softer break with the EU. Of course, it’s not the job of the BBC to take sides in elections. But it is its responsibility to defend the values of democracy and help the public ascertain whether candidates for high office respect those values. Does Jeremy Corbyn? The BBC, on which we so depend, has given him a free ride and today he is one step closer to power. If our national broadcaster continues to pander to him, it won’t be long before he’s in No 10. And then God help us all — including the BBC, which, irony of ironies, the Corbynistas hate.